This study was aimed at developing an empirical model of pupil management by integrating the balancing competitive-generation solidarity values to the preparation of competitive character and social solidarity values for enrolling in the era of demographic bonus and the best economy. At the first year, this study employed mixed method. At the second year, this study employed Research and development (R & D) method.At the third year this study employed expose-facto and causal comparative methods. There were three main different school chategories being studied, which were good metropolitant high schools in Surabaya and Sidoarjo, East Java, medium suburbant schools in Pasuruan, East Java, and periphery suburbant schools in Malang and Blitar, East Java. The data were collected using closed and open questionnaires. The data were analized using descriptive statistics of central tendency and content analysis (content) of Mayring (2000). The quantitative data of discrepancies were analized using cross-tabs and the mean difference test techniques. The qualitative data of differences were analized using constant comparative technique (Bogdan, 1985; and Yin, 1995). 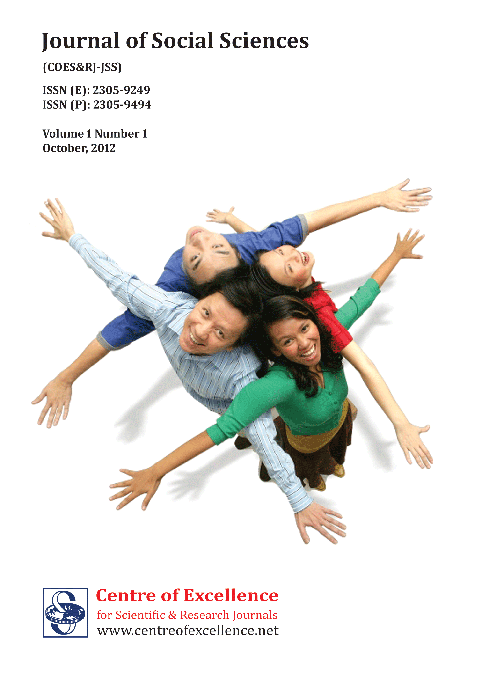 This study resulted a conceptual model covering the model expert judgments and empirical models of pupil management that integrated competitive values, the values ​​of solidarity, and both balancing values; pupil management activities and strategies conducive to integration of balancing competitive ​​and solidarity values. The models have been applicable to be used to prepare the next generation competitive character and social solidarity in order to enroll in an era of demographic bonus and the best economy. Retreaved on 2 May 2013. Akbar, S. et.al 2012.Pendidikan KarakterMelaluiPendekatanMenyeluruh. Malang: FIP UM. apindo.or.id/ index.php/ berita-a-artikel/news/927. Accessed on 2 May 2013. Dan Pengaruh Inflasi terhadap Pola Konsumsi. Jakarta: Bank Indonesia. Bank Indonesia.2011. Informasi Kependudukan Indonesia. Jakarta: Bank Indonesia. Gorton, R.A and Schenelder, G.T. 1991.School Based Leadership. New York: Macmillan. Didik di Sekolah.LaporanPenelitian. Malang: Lemlit IKIP Malang. Pemecahan Manajerialnya.Jurnal Ilmu Pendidikan. Malang: IKIP dan STKIP se Indonesia. Pendidikan di SMP se KabupatenNganjuk. LaporanPenelitian. Malang: Lemlit IKIP Malang. Sekolah Dasar, Jakarta: Ditjen Dikdasmen, Depdiknas. Imron, A. 2009.ManajemenMutu SD BerbasisReligi: Studi Multi Kasus pada SD Mintu, SD Iwaha, SD Kasayugadan SD Kripe. Malang: PPS UM. Imron, A. 2010.Akarsosial, kulturaldanreligimanajemenmutu SD berbasisreligi. Jurnal IlmuPendidikanJilid 16, Nomor 3, Oktober 2009, hal.143-151. Imron, A. 2010. Profil manajemen sekolah unggulan pada satuan pendidikan sekolah dasar. Jurnal Manajemen Pendidikan, Vol.1, No.1 Agustus, 2010: 1-14. Imron, A. 2011.Peranankepala SMP dalamImplementasi MBS. BerkalaManajemenPendidikan, Vol. 23, Nomor 4: 357-364. Imron, A. 2011. Manajemen Peserta Didik Berbasis Sekolah. Jakarta: Bumi Aksara. Indrakusuma, A.D. 1990. Administrasi Kepegawaian. Malang: Jurusan AP FIP IKIP Malang. Joice, B. dan Weil, B. 1980.Models of Teaching. New Jersey: Prentice-Hall, Inc.
Kemendiknas, 2010.Kebijakan Nasional Pembangunan KarakterBangsa. Jakarta: Kemendiknas. Knezevich, S.J. 1981. Administration of Public Education. New York: Macmillan, Inc.
Lickona. 1992. Educating for Character: How our school can teach respect &responsibility. New York: Macmillan. Mayring, P. 2000. Qualitative Content Analysis.Qualitative Social Research (Online-Journal), 1 (2). Morse, J.M. 1991. Approaches To Qualitative-Quantitative Methodological Triangulation. California: Sage Pub. Inc.
Puskur, Kemendikbud, 2009. PengembangandanPendidikanBudaya&KarakterBangsa: PedomanSekolah. Jakarta: Puskur, Kemendiknas. Sahertan, I.A dan Imron, A. 1996. Hubungan antara Tingkat Keterlibatan Orang Tua dalam Mendidik Anak Kaitannya dengan Motivasi dan Prestasi Belajar SD SD se Kacamatan Lowok Waru Kodya Malang. LaporanPenelitianTidakDiterbitkan. Malang: LembagaPenelitian IKIP Malang. Steckler et al. 1992.Toward Integrating qualitative and quantitative methods: An Introduction. California: Sage Pub.Inc. Stoops, E. and Johnson, T. 1985. Handbook of Educational Administration: A Guide for The Practitioner. Second Edition. Boston: Allyn and Bacon, Inc.
Tashakkori, A. danTeddelie, C. 2003.Hand Book of Mixed Methods in Behavioral Research. California: Sage Pub. Inc.
Yeager, William A.1985. Administration and The Pupil. New York: Harper and Brother. IMRON, Ali. Empirical model pupil management integrating with balancing competitive-solidarity value for the preparation of character generation competitive and social- solidarity to be ready demographic bonus and the best economic era. Journal of Social Sciences (COES&RJ-JSS), [S.l. ], v. 6, p. 1-13, jan. 2017. ISSN 2305-9249. Available at: <http://centreofexcellence.net/index.php/JSS/article/view/jss.2017.6.1.1.13>. Date accessed: 24 apr. 2019. doi: https://doi.org/10.25255/jss.2017.6.1.1.13.